On the right-hand side 'Kalla Anka'. 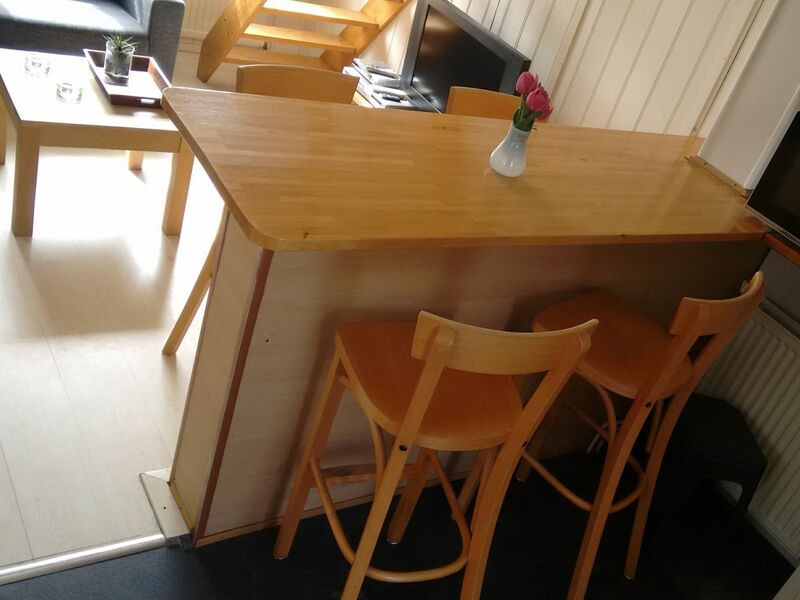 Kitchen, bar and seating area. The village square of Callantsoog. 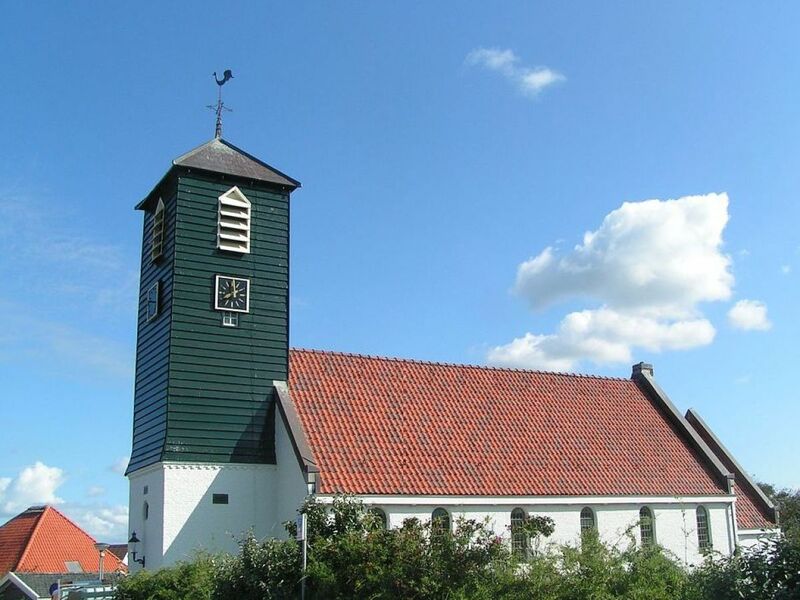 The characteristic church of Callantsoog. Beautiful blooming flowers in April and May. 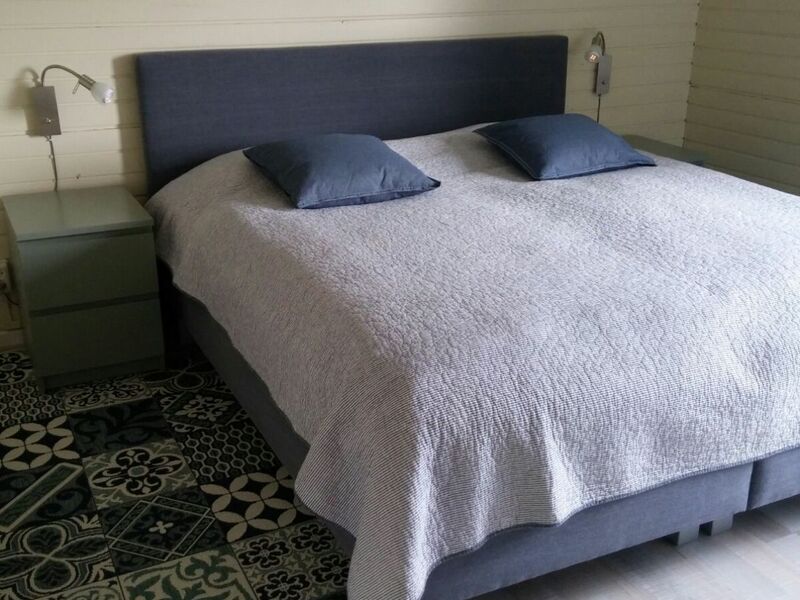 Quiet and green surroundings with views of the dunes, 5-minutes away from the beach and downtown, at the end of a dead end street, we offer you a part of our house "Kalla Anka" for up to 4 people, where your pets are also welcome! "Kalla Anka" has a private entrance. 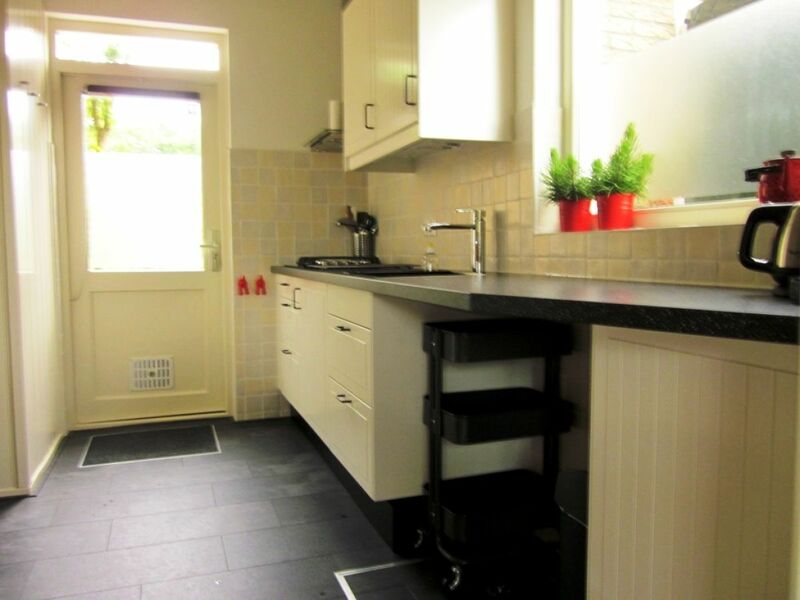 On the ground floor there's a large kitchen, a cosy livingroom and a dining area with bar and 4 stools. The brand new kitchen offers you a 4-pits stove (on gas), a refrigirator with a small freezer, a microwave (incl. oven), an electric kettle, a coffee machine, blender and a toaster. 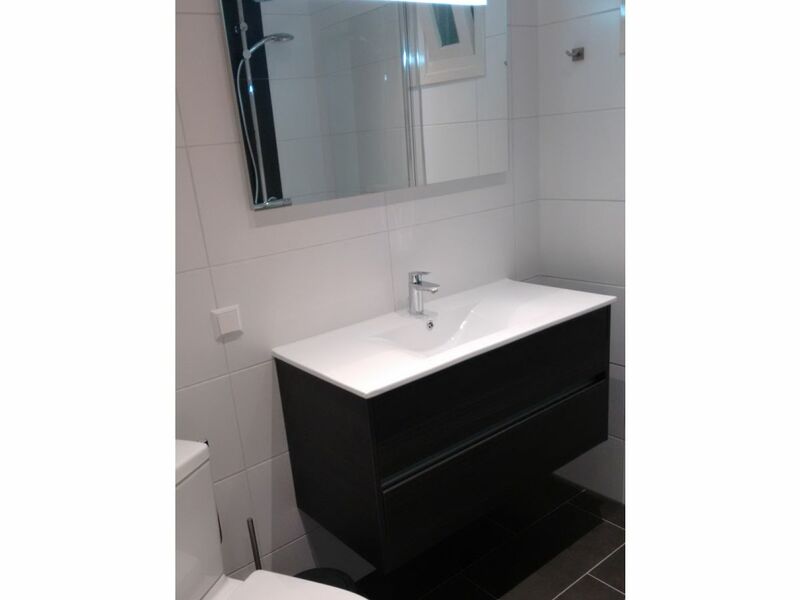 The small, functional and brand new bathroom has a walk-in shower, toilet and bathroom cabinet with sink and two storage drawers. The TV (flatscreen, 100Hz) offers you more than 60 channels, and a DVD player and sound set is at your disposal. Wireless Internet access is available free of charge. Upstairs two bedrooms with spacious closets; 1 master-bedroom (180-200) and 1 room with 2 single beds (80-200). Climate control of the bungalow is in place with central heating. A garage is at your disposal, where you can store your bicycles, wet clothing etc. 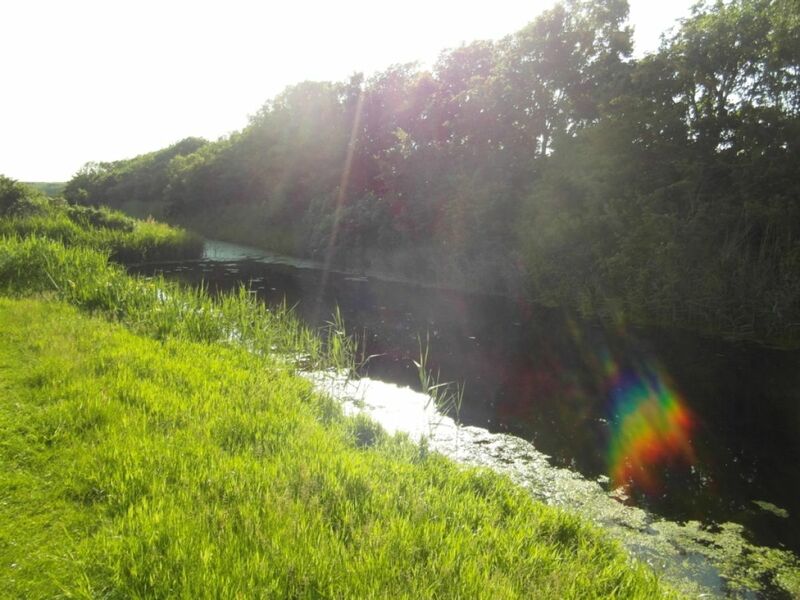 Behind the spacious garden you will find a ditch for fishing. 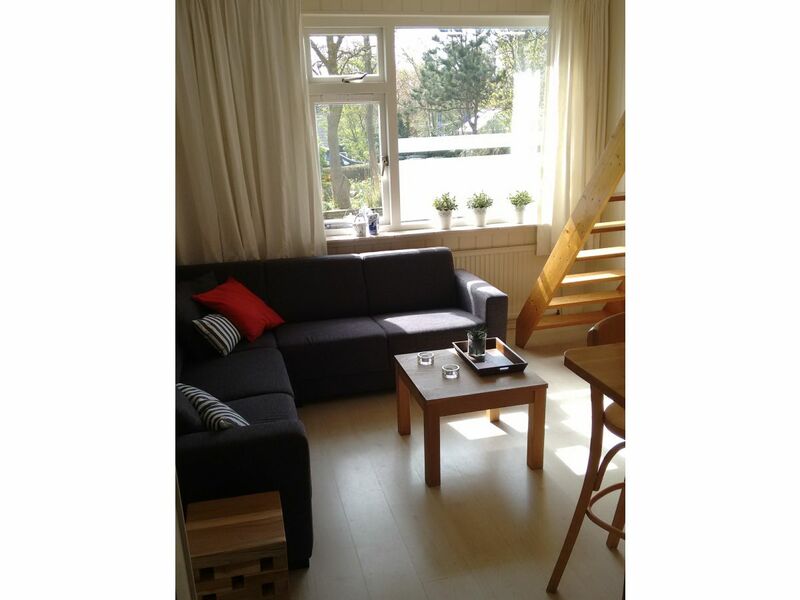 Nearby are 2 children's playgrounds (120 mtrs. / 350 mtrs. away). 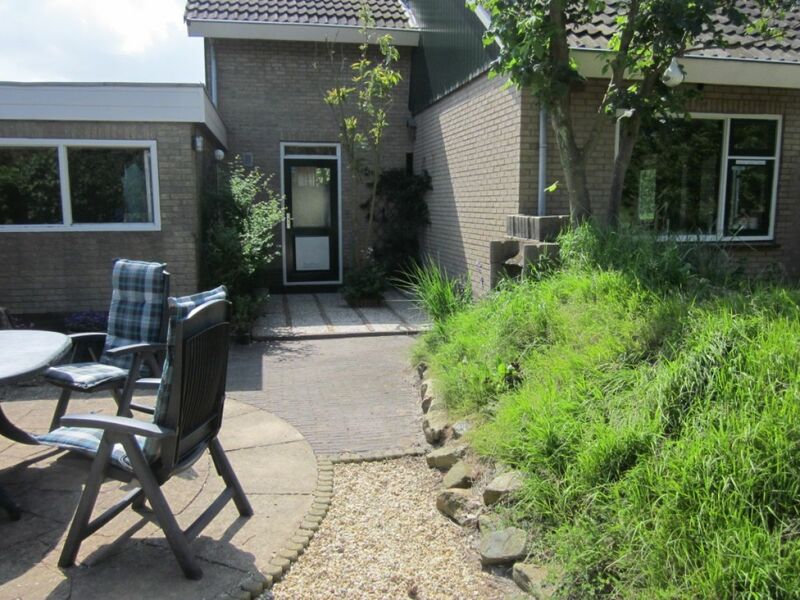 Callantsoog is a lovely place for dogs, that is why pets are welcome, for a small surcharge. Bed linen is included in the rate, you must bring your own kitchen linen and towels. 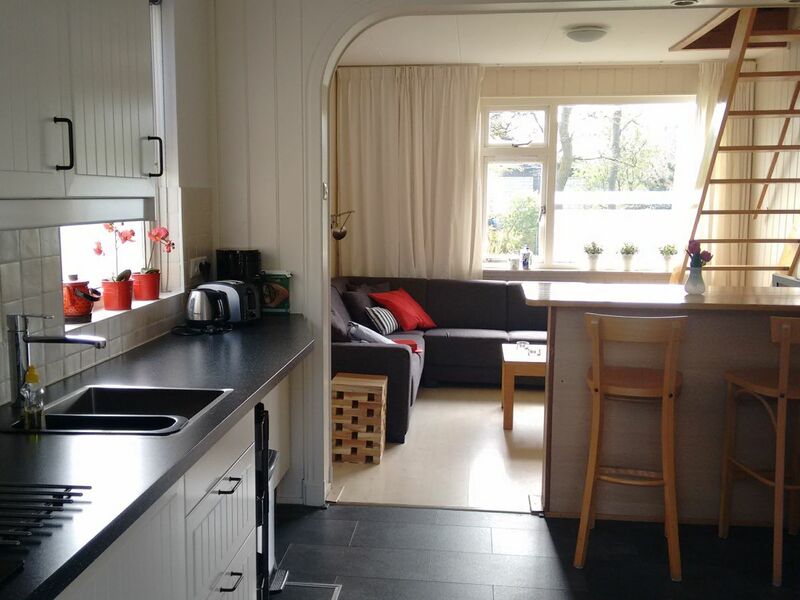 And if you leave the bungalow as clean as you found it, there will be no charge of € 50,- for cleaning! What makes Callantsoog so unique? Callantsoog ... one of the oldest and most beautiful seaside resorts in the country with a very cozy center. There are many small shops, sidewalk cafes and restaurants. Most shops are open all year round on Sundays, so there is a lively atmosphere throughout the year. High dunes separate the village from the beautiful beach. For years, the Blue Flag has been blowing there, a mark of the European Union for clean and safe beaches. Two beach pavilions, one of which houses a beach restaurant, are open year-round so you can warm up with a cup of hot chocolate after a refreshing beach walk. There are 5 beach pavilions open from April to October. In summer, the magnificent white sandy beach awaits the many visitors. 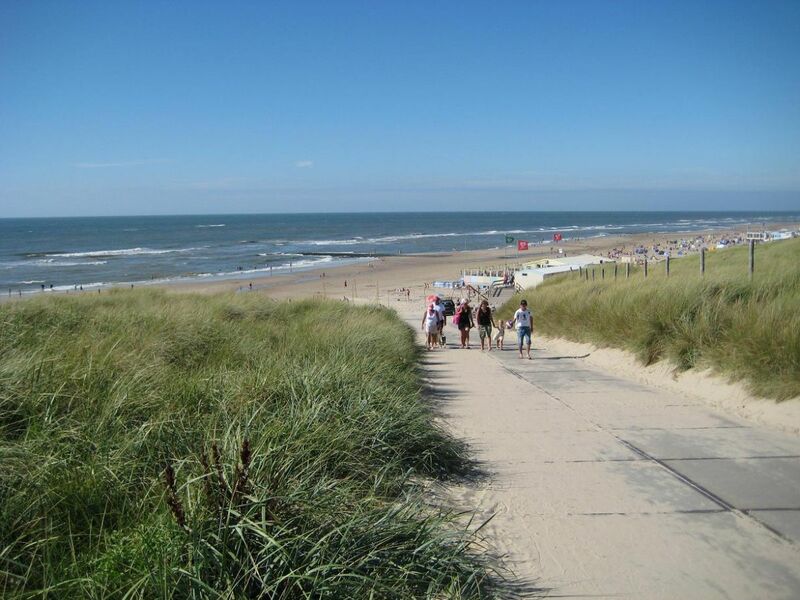 Also for lovers of nudism there is space, just south of the beach access Kiefteglop is the first official nudist beach in the Netherlands. Unique is the location of the bustling village center just behind the dune. The 'Tante Jaantje' museum farm can be found in the centre. It is open to visitors from May through September. South of Callantsoog you will find 'Het Zwanenwater', a unique nature reserve (dogs are not allowed!). The flora and fauna are invaluable and unique in the Netherlands. Very rare plants can be found here. Two dune lakes are a source of food for the many birds that find their breeding ground here. 9 miles north of Callantsoog is the naval port of Den Helder, with several museums, such as the Royal Navy and Rescue Museum. Or visit 'Willemsoord', the former shipbuilding and repair yard for the Royal Navy, which is a monumental part of Den Helder. 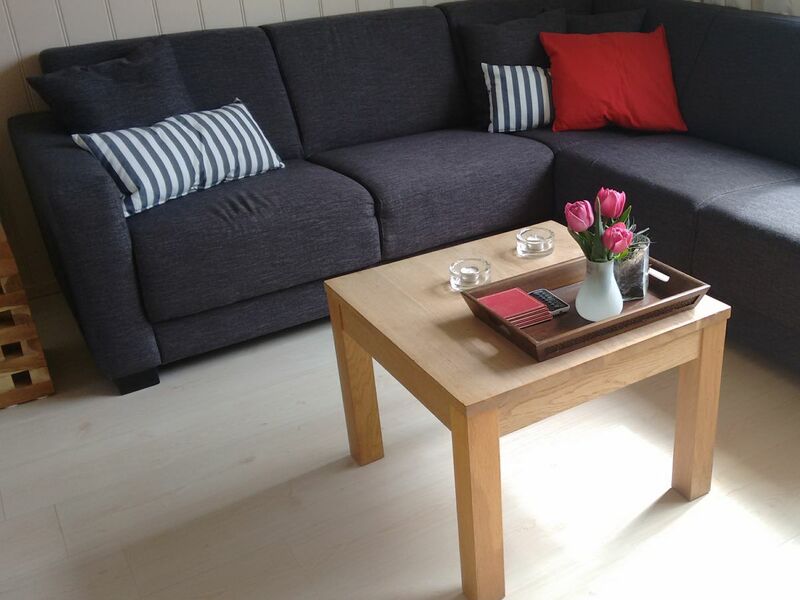 On 'Willemsoord' you will find a casino, a cinema and an indoor children's playground. 'Fort Kijkduin' is also worth a visit, a former fortress of Napoleon, which includes a beautiful sea aquarium. From Den Helder you can visit the island Texel by ferry. On the east coast of Noord-Holland, near the IJsselmeer, you will find very beautiful historic towns, such as Medemblik, Enkhuizen, Hoorn, Monnickendam, Edam and Volendam. 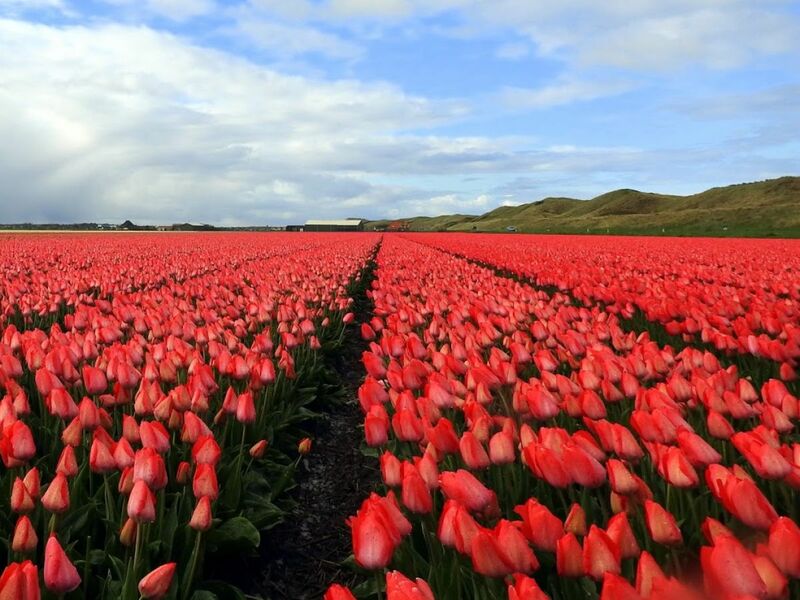 In Amsterdam, only 40 miles away from Callantsoog, you can spend a few days with lots of attractions and museums. Alkmaar is also a very beautiful historic city, where in the summer season every Friday a cheese market is held. 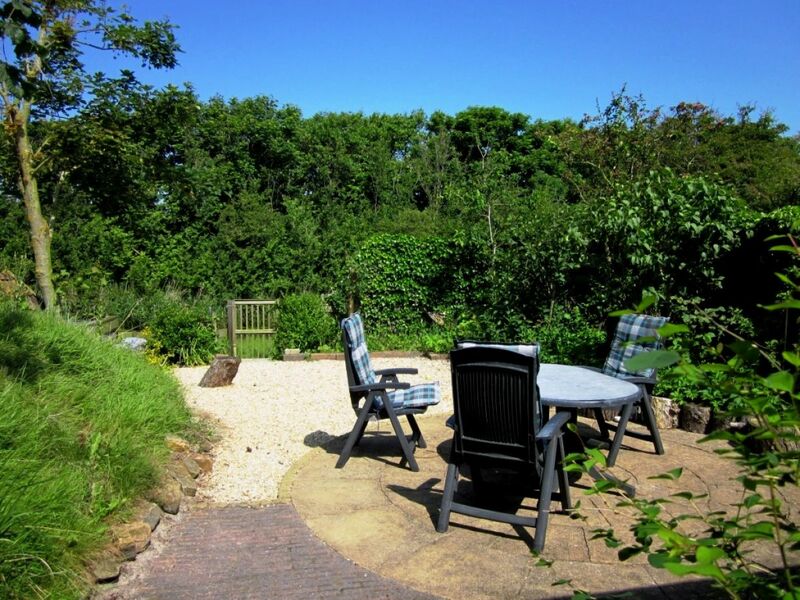 Bergen, Schoorl and Groet are the artist villages, beautifully located in forest-rich dunes. 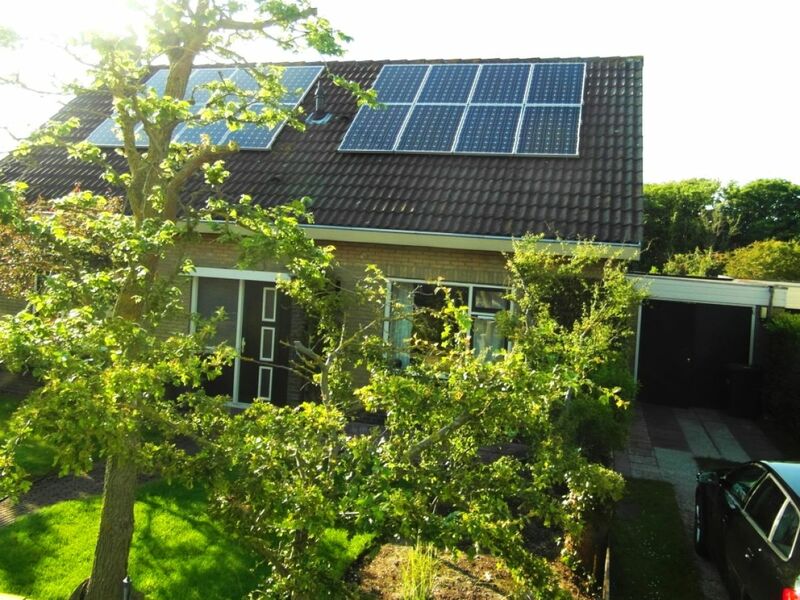 A variety of beautiful bicycle routes throughout Noord-Holland is also available. And during the summer, every day boating anglers depart from the ports of Den Helder and Den Oever. Indoor swimming pools can be found in Callantsoog (camping Tempelhof), Julianadorp (Landal Beach Resort Ooghduyne), Sint Maartenszee (Campanula) and Schagen (de Wiel). If you have children, consider to visit 'De Goudvis' in Sint Maartenszee, 6 miles by road from Callantsoog; a large children's playground with the largest air trampoline of Europe. In summary, there is an incredible amount to do! 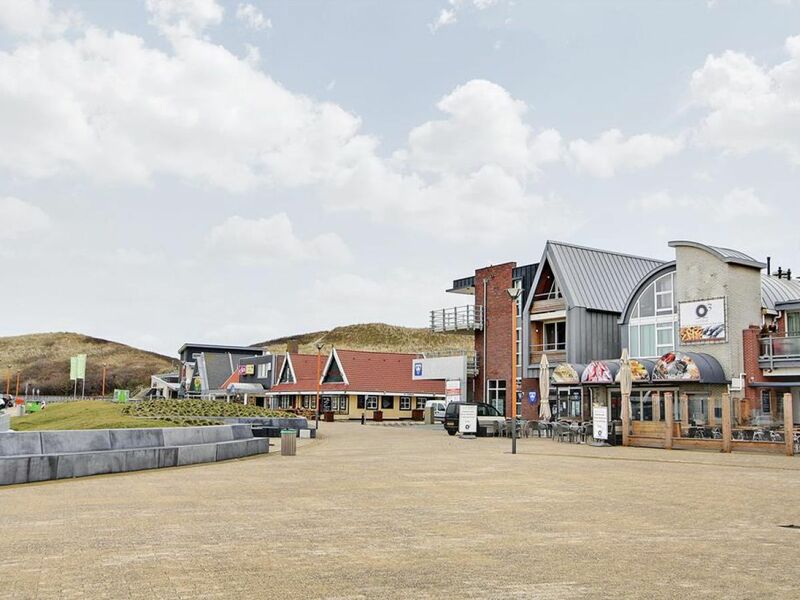 Please visit the Tourist Information Point in Callantsoog, on Dorpsplein 16 ("SYLT Lifestyle"). 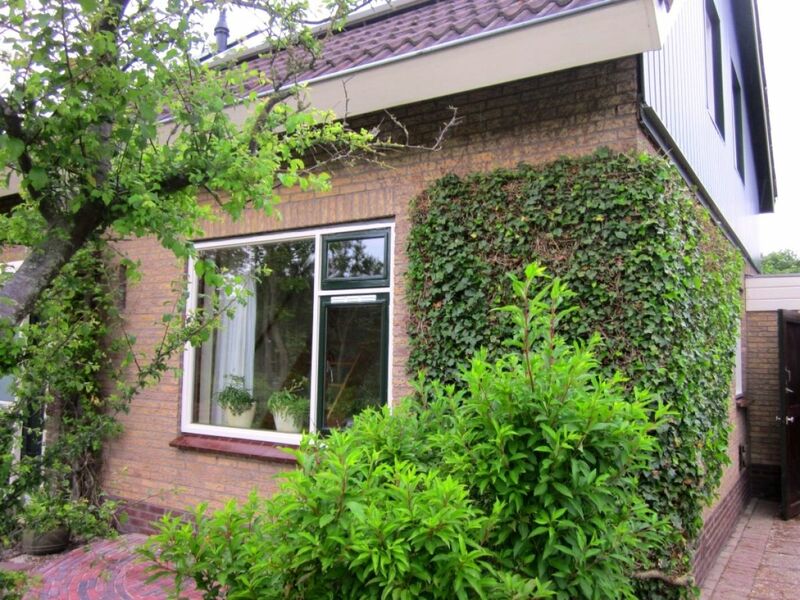 At "SYLT Lifestyle" you will find information about everything related to Callantsoog and its surroundings. You can also find cycling and hiking maps, information about activities and help with reservations. 'Kop van Noord-Holland' - that is how the peninsula in the province of North Holland is called, which is a 20 miles long coastal strip on the North Sea with beautiful seaside resorts. The sand beach is easily accessible through a narrow dune area. 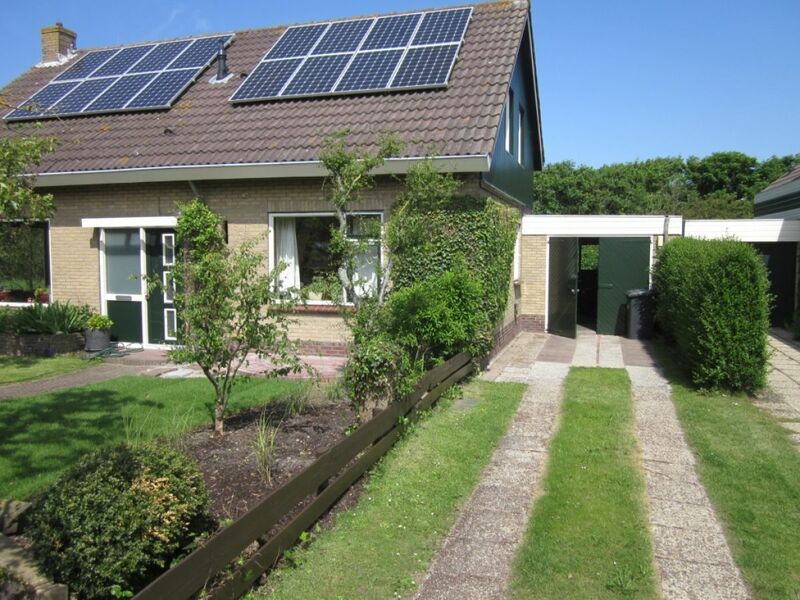 No beach resort in North Holland reads near the beach and North Sea who Callantsoog! - at the end of the street on the right is 'Kalla Anka'. You can cancel up to 14 days before arrival. If you want to cancel the booking later than 14 days before arrival, you pay the full rent plus € 25,00 extra. Bed linen is included in the rate, but you must bring your own kitchen linen and towels. Es war von Anfang an ein toller Kurzurlaub! Die Wohnung war sauber und gepflegt, es gab einen super netten Ansprechpartner direkt am Haus. Das Haus selbst lag sehr ruhig gelegen. Der Strand und der Einkaufsmarkt waren sehr gut zu erreichen. Alles TOP! Die Unterkunft war sehr schön. Wir haben alles vorgefunden, was wir gebraucht haben. 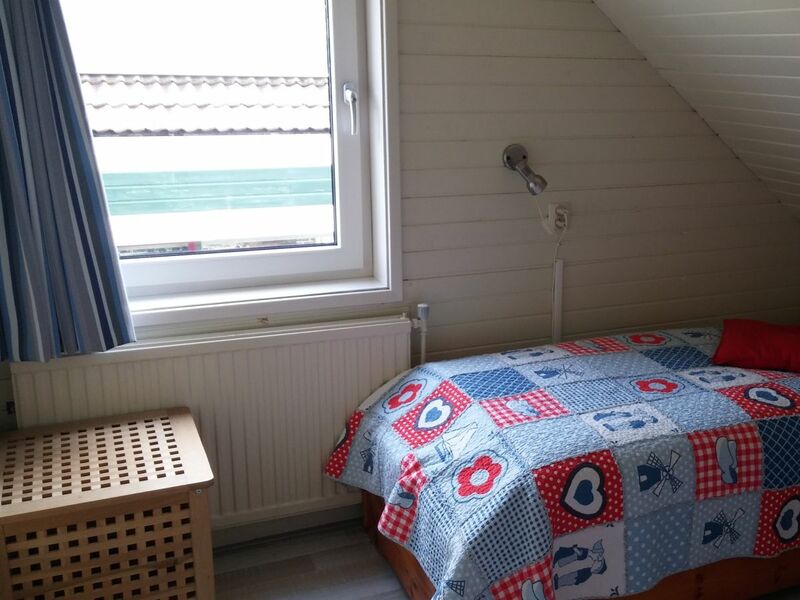 Schön war, dass die Schlafzimmer oben waren und unten die Küche mit Wohnzimmer und Badezimmer. Am ersten Tag haben wir alles sehr sauber und ordentlich vorgefunden. Wir fühlten uns direkt wohl und wie zu Hause. Sehr schöne, gemütliche Unterkunft am Ende einer Wohnstraße. 10 Minuten zum Strand, 10 Minuten zum Ort, nette unkomplizierte Vermieter. Jederzeit wieder. 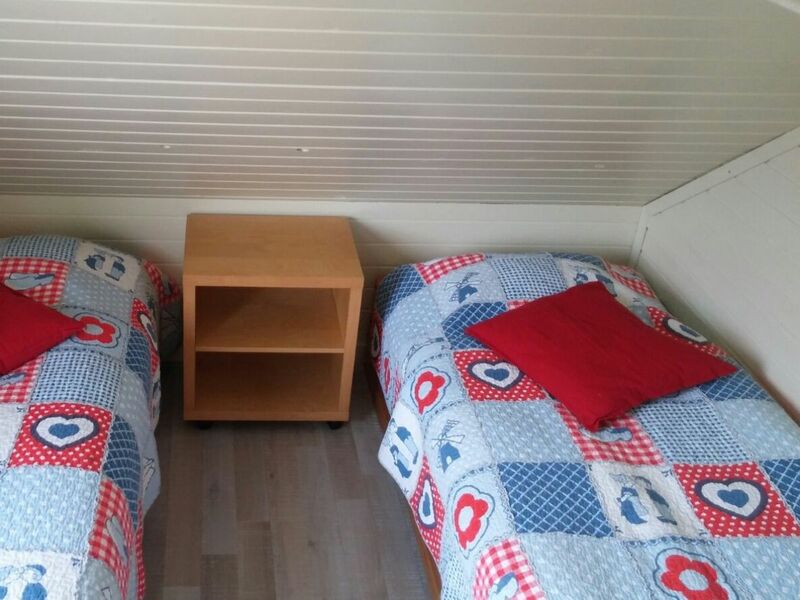 Nette, gemütliche Ferienwohnung mit allem was man benötigt. Nähe zur Ortsmitte und Strand. Gerne wieder!! Wir hatten einen super Urlaub und haben direkt fürs nächste Jahr gebucht!!! Wir freuen uns jetzt schon!! Der Garten lädt zum Verweilen ein!! RUHE PUR!!! Alles Super , und sauber. Sehr nette Besitzer und ein toller Kontakt. Die Wohnung liegt in Centrum und es ist sehr ruhig, für Kinder und Hunde sehr gut geeignet. Für Menschen mit einer Körberlichenbehinderung nicht, da die Treppe in den Schlafräumen sehr hoch und steil ist. Der Garten ist ein Traum und die Frau Griffon hat uns freundlich empfangen. Wir haben uns sehr wohl gefühlt und würden jeder Zeit wieder kommen. Wir fanden eine schöne und saubere Wohnung vor, in der alles vorhanden ist was man im Urlaub benötigt. Der kleine Garten lädt bei Himmlischer Ruhe zum Entspannen ein. Fr. Griffioen ist sehr Freundlich und Hilfsbereit. Wir haben uns in Kalla Anka sehr wohl gefühlt und kommen gerne wieder. einfach ein entspannter Urlaub bei wunderbaren Gastgebern., wir kommen gerne wieder,weil wir uns bei fam.griffioen so wohl fühlen. Kann mich den anderen Bewertungen nur anschließen. Sauber, gut ausgestattet, nette, unkomplizierte Vermieter(in), ruhige Lage und trotzdem nah am Zentrum. 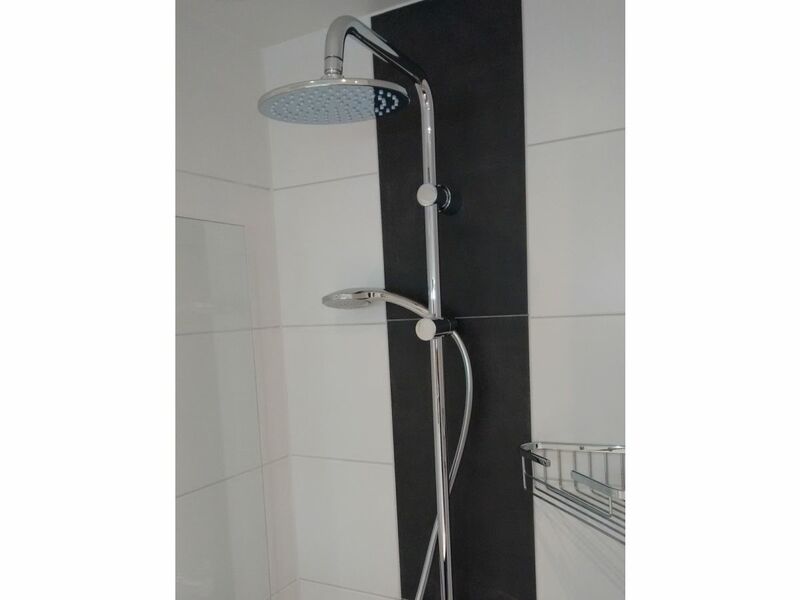 Das Bad ist schon sehr klein. Habe während unseres Aufenthaltes eine Woche lang überlegt was man aus den Gegebenheiten hätte besser machen können.... nicht viel bis nichts. Es ist funktional. Die Treppe ist sehr steil. Was für die Niederlande nicht unüblich ist. Also alles in allem gerne wieder. "Holiday apartment Kalla Anka" achieves a review of 5.0 (ranking scale: 1 to 5) due to 30 entered reviews.